Our rationale is that there are other macro factors at play that will hurt oil prices. The biggest in our opinion is a slow down in China’s economy. China’s stock market bubble has popped and despite multiple stimulus interventions in the last few weeks by the PBOC, China’s market is as fragile as its been in decades. 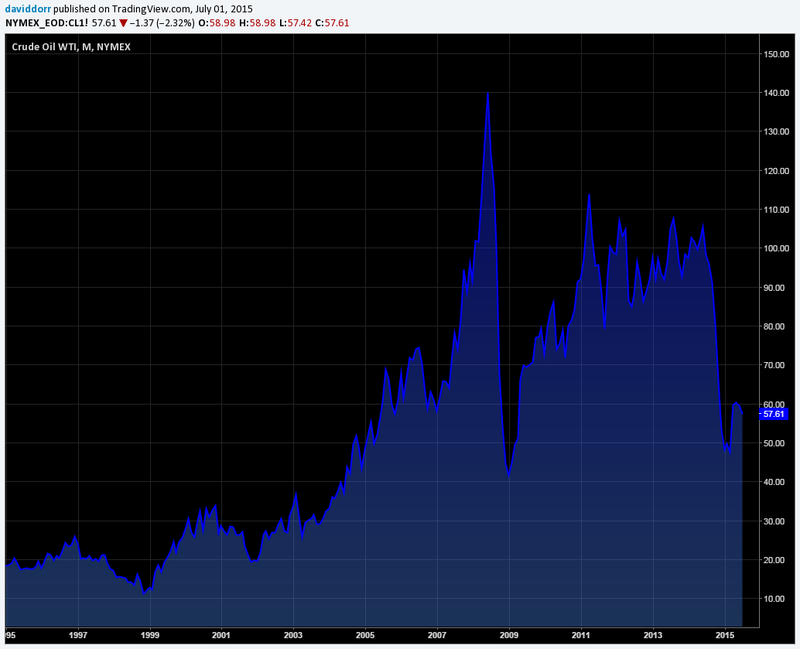 Here is the price of oil since the mid 90’s. For our friends and clients in Brazil this would add more pressure to an already weak exchange rate. 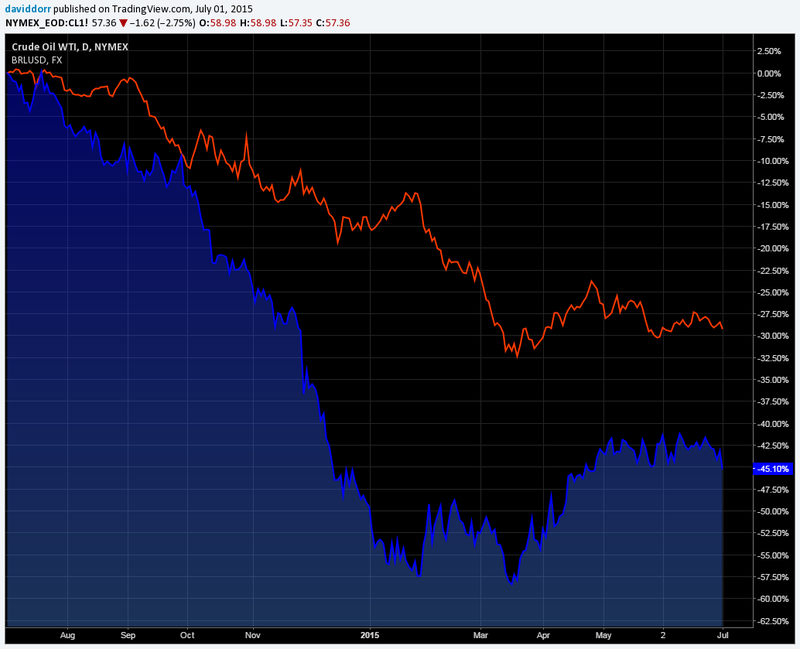 Here’s the price of oil (blue) compared to BRLUSD (red). The Colombian peso and Russian ruble would also be significantly impacted by another large move down in oil. There’s lots of interesting trades developing around these themes. You have oil to trade, FX rates, Chinese equities, Canadian and U.S. debt/equities on oil companies. Lot’s of ways to mix match. While not a trade or investment recommendation we have our eyes on a long COP/CAD trade after a big move down in oil. We believe that Colombia’s currency has been oversold due to a faulty market perception which over-correlates Colombia’s currency to oil prices. 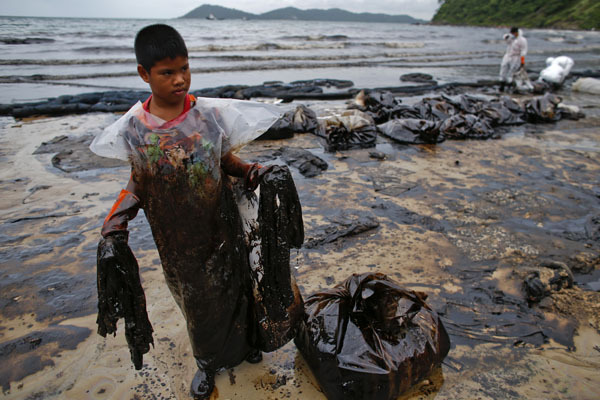 Colombia’s economy has many other things going for it beyond oil production and exportation. Furthermore we believe that Canada will be entering a recession shortly. Canada has been in a gigantic real estate bubble for a number of years and it will pop just like any other asset bubble. It does not hurt that this trade possesses a nice positive carry of approx 3.75% before applying any leverage. 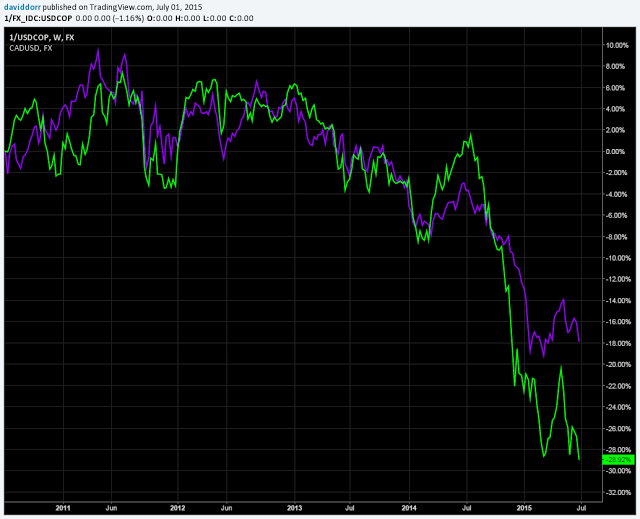 In the chart below you can see the Colombian peso (green) vs the Canadian dollar (purple). We’d like to see these spread a part a bit further to reach maximum attractiveness. Anyway you get the point. There’s lot’s of strategies that are all far more interesting than the usual long only approach of just holding a mix of stocks and bonds.